Picture this: an 18 year old girl sitting in her dorm room alone eating green beans from a can for lunch. That was me in 2005. It wasn’t that I couldn’t monetarily afford to eat more than an 80-cent can of green beans. It was that I couldn’t afford the calories. I was NOT going to be like those other girls who gained “the freshman 15.” At the time, I didn’t think there was anything wrong with the way I was living—I was “healthy!” I watched as my roommate ate Pop Tarts every morning for breakfast. “You know that’s just like eating a cookie, right?” I asked her. “Yeah, but at least I picked the ones without frosting,” she replied, with the nonchalant attitude of a normal 18 year old. Despite my ridiculing, I snuck one of those Pop tarts more than a few times, hoping my roommate wouldn’t notice. Instead of using my meal plan dollars on actual meals, I used them to buy single serving boxes of Cheerios and SlimFast shakes from the campus market. Then I would carefully record what I ate and how many calories I had for that day. For dinner, I avoided going to the cafeteria with friends on my dorm floor and instead, I would heat up frozen tilapia in the microwave that was 140 calories per serving. Let’s just say I didn’t gain any friends from the microwaved fish smell that lingered all the way down the hall. I took up distance running and became a group exercise instructor, all in the name of health and fitness. The dieting got really serious right before my first college spring break trip. I was down to my lowest weight ever and super proud of myself for all my hard work. However, after 2 days on a trip with my friends eating like they did, I felt bloated and like I had gained 10 lbs in 2 days. I ended up feeling uncomfortable in my swimsuit anyway, despite the months of restriction leading up to the trip. Why couldn’t I just eat like my friends and not gain weight? It wasn’t fair! After Spring Break came Easter, and my parents got me a bag of my favorite Cadbury mini chocolate eggs. I ate the entire bag in one sitting. I ended up gaining back all of the weight that I had lost 2 weeks after my spring break trip. The rest of college was a lot of the same: long runs and teaching fitness classes fueled by Lean Cuisines and plain oatmeal covered in artificial sweeteners. I bought fat free everything. During this time, I was being educated to become a dietitian. Nothing I was taught led me to believe I was in the wrong. I was following the rules, and following them proudly. I was even giving friends and family advice on how to be healthier. I would lose 5 lbs, and then gain 10 back as soon as I loosened the reigns. In 2008 I completed my first full marathon. I was counting every single calorie I was taking in and I was never not hungry. Despite doing all of the “right things” I was unhappy with my weight, uncomfortable in my own skin, and frustrated. So how did I break out of that unhealthy cycle? Unfortunately, it wasn’t with education. It wasn’t until I was well out of school, well out of my first job as a clinical dietitian, and had started working with my own private clients that I saw a pattern. NONE of the people that I worked with who were following the 1200-calorie diet restriction model were happy. None of them could get to a place where they felt comfortable long-term. Everything became clear when I started to work at a weight-loss resort. A weight-loss resort is exactly what you think—the guests come to lose weight in a spa-like setting. We tested all of the resort guests’ metabolic rates (the number of calories your body burns at rest) using a machine that measures your respirations. When I tested mine, it came out at 1100 calories, which was lower than any of the other dietitians and trainers at the resort. Some of the other females resting metabolisms were 1800 calories or higher. Mine was even lower than any of our guests, except for a woman in her 60’s. I was 26 at the time. One of my dietitian coworkers remarked, “You can only eat ten 100-calorie pack snacks in a day or you’ll gain weight.” Ugh. Now it started to make sense. So this is why I couldn’t go on vacation and eat like my friends without gaining weight while they remained the same. This is why despite all of my efforts, I still felt uncomfortable and frustrated. I also knew that this wasn’t just a hand that I’d been dealt that I had to deal with forever. I knew that I had made this happen and that I had to find a way to reverse it. I started doing my own research on metabolism, muscle, weight training, and dieting. I realized that my distance running was just making me hungrier, and that eating below the number of calories I was burning in a day was making my body think that I was in starvation. I was putting my body through the ringer, and it was just trying to survive. I swapped distance running and started running interval sprints. I maxed out my runs at 2 miles. I started lifting weights to gain strength instead of just “toning.” I made sure I was eating more than what I was burning and eventually started listening to my body and its hunger cues instead of tracking calories at all. Once my body started to trust me again, I felt much better. I didn’t even realize I was low on energy. I didn’t know that my body had been trying its best to save its energy stores and prevent me from burning more. By the end of my 3-month contract with the resort, my resting metabolic rate had gone up by 300 calories. That means that my body was burning 300 more calories while at rest. I was finally moving in the right direction. When I returned home from the resort, all of my old shorts no longer fit me. They were too big. 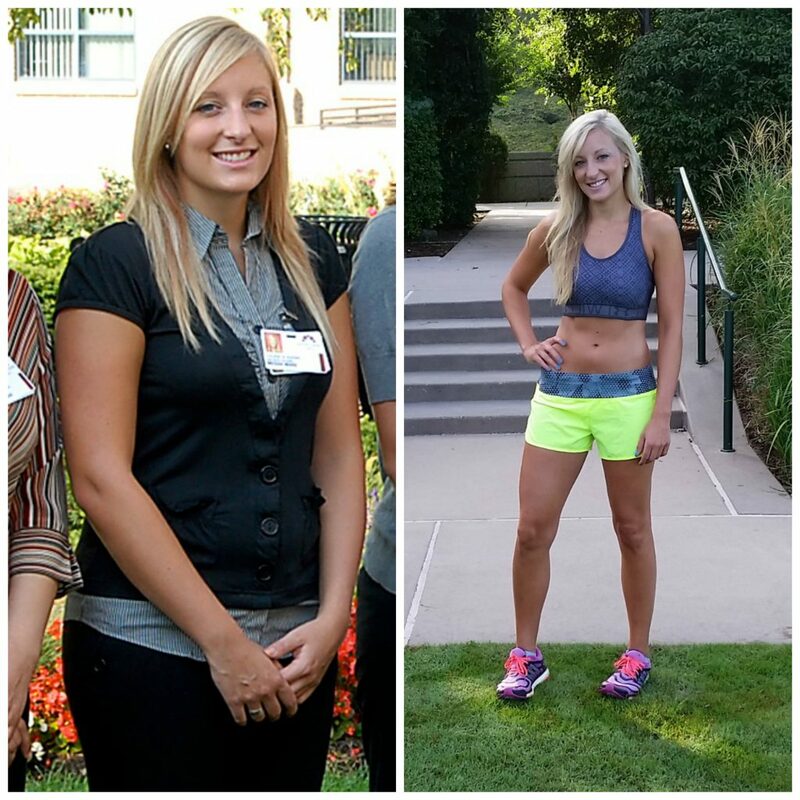 However, when I got on my home scale I found out that my weight hadn’t really changed much. If I didn’t have the hard evidence of my shorts being too large and my increased metabolic rate, I may have thought that the summer was a waste and that I needed to go back to restriction. I was in a much better place physically and mentally. I was actually confident in myself and comfortable in my body. Despite quitting calorie counting. Despite not running a million miles a week. And that’s when I realized that it wasn’t despite these things, it was becauseof them. The final realization that I had transformed happened during my trip back home for Christmas that year. Every year before that, I would eat and eat and eat—there were cookies and chocolate everywhere and I couldn’t resist. I went out to dinners, drank beer, and joined in all of the usual indulgences of the holidays. Every year prior, I would get back home after my Christmas trip, see how much weight I gained, then take months of dieting to get back to where I wanted to be. That year I went home and I listened to my body. I didn’t restrict myself. The funny thing is that I really only wanted 2 cookies instead of 10. My body wasn’t constantly screaming for more because it was no longer in starvation. I got on the dreaded scale when I got back. To my surprise, I hadn’t gained weight. That’s when I knew that I had truly repaired my metabolism, as well as my relationship with food and my body. When I started working with clients one-on-one again, I stopped teaching them how to restrict and started to teach them how to fuel their bodies instead. I built up my private practice helping people learn how to tune into their bodies’ signals instead of fighting them and shutting them off. I encourage my clients to ignore the arbitrary rules of the next latest and greatest diet and learn what works specifically for their physiology and lifestyle. I’ve had a client cry tears of joy because I told her that eating regular peanut butter on a daily basis is OK. I’ve helped countless people reverse the damage of 1200-calorie starvation diets and finally feel themselves again. There is no greater joy for me than when I have a chronic dieter come in to my office, because it is an opportunity for me to help them skip the next decade of restriction and frustration, forgoing all of that wasted time and energy counting calories trying to starving their body into submission. It’s hard to look back on those lonely days of canned green bean lunches and not feel sad for the girl who missed out on so many good meals and times with friends, but I know that going through that is what enabled me to help so many other people to find their way out and crack their own personal code. I earned my bachelors of science degree in dietetics from The Ohio State University while working in the nutritional services department of an acute care facility and as a group fitness instructor for Ohio State. I completed my dietetic internship at Mount Carmel College of Nursing in Columbus, OH in 2009. After taking a hiatus to backpack through Australia, I landed my first clinical dietitian position at Florida Hospital Orlando in 2010, starting as a general RD then specializing in gastrointestinal disorders. It was there that I realized I wanted to start treating people with nutrition before they ended up in the hospital. I started Nutrition Awareness on the side in 2011 and in 2012, I quit my full-time job to focus solely on building my business. I’ve given presentations for local and global companies including Hyatt, SAP Ariba, DPR Construction, Synergy Wealth Alliance, The Bar Method, Body20, and the Orlando Academy of Nutrition and Dietetics. 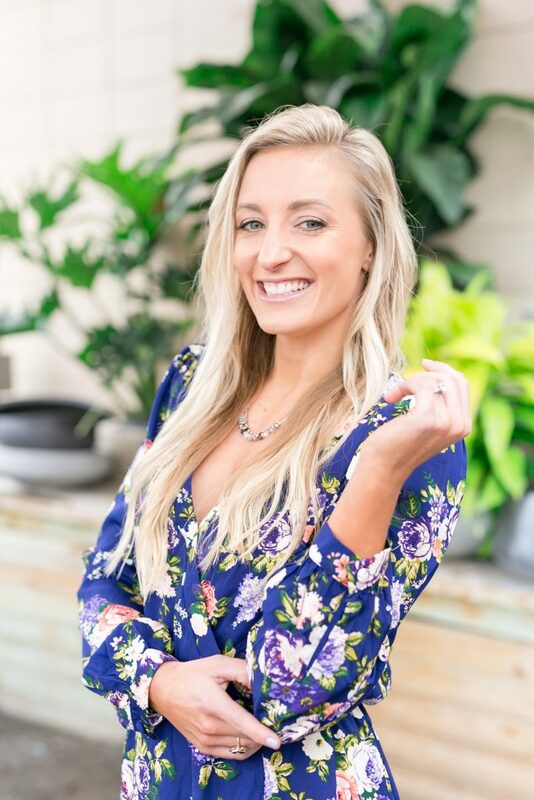 I’ve been quoted or featured in multiple online and print publications including The Orlando Sentinel, Orlando Magazine, Today’s Dietitian, Entrepreneur Magazine, US News & World Report, Shape, MyFitnessPal, Prevention, andHuffington Post. I’ve written for Medical News Today and Today’s Dietitian Magazine. I have on-camera experience with Good Day Orlando, Change Everything LIVE, Fox35, Univision, Healthline Media, Fox 6, Ivanhoe Broadcast News, and UCF Knightly News. I am a regular guest on 1520 WBZW and have interviewed live on Sirius XM Satellite Radio’s Doctor Radio, WTLN’s Healthy Positive Living, and WRVO’s Take Care Radio show and podcast. Traveling- I’ve been to 30 states and 24 countries. Begging for a dog (my husband is allergic). Looking at dog photos. Looking at food photos. Looking at more dog photos. Want to work together? I’d love to meet you! Click here to schedule your initial consultation.